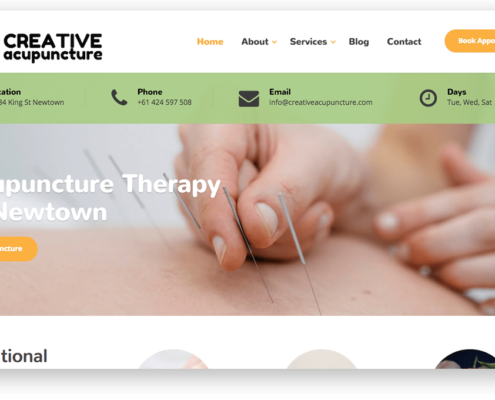 Your acupuncture website is designed for mobile phones, tablets, laptops and desktop computers (responsive). Your site is conversion optimised, meaning it will work hard for you, even when you take time off. Our work gets you results. You’ll own your website and domain name outright – no rental fees or monthly subscriptions. 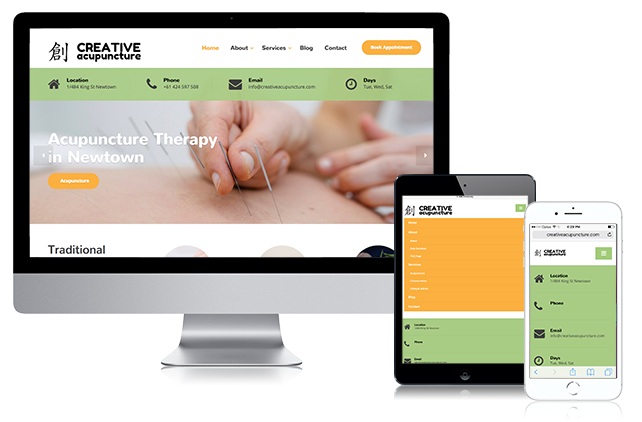 If you’re looking for a new or updated website for your acupuncture clinic, we can help. We offer affordable and accessible website design packages – all the information is on this page so you can decide if we are the right fit for you, or not. This comes free with your new website and shows your customers you take their security seriously. We’ll integrate with your practice management system or recommend an online booking system. We’ll customise your site to reflect your industry, philosophy and business goals. We’ll support you during the initial launch phase and take the stress out of the process. A solo practitioner just starting out? A larger clinic wanting to grow? 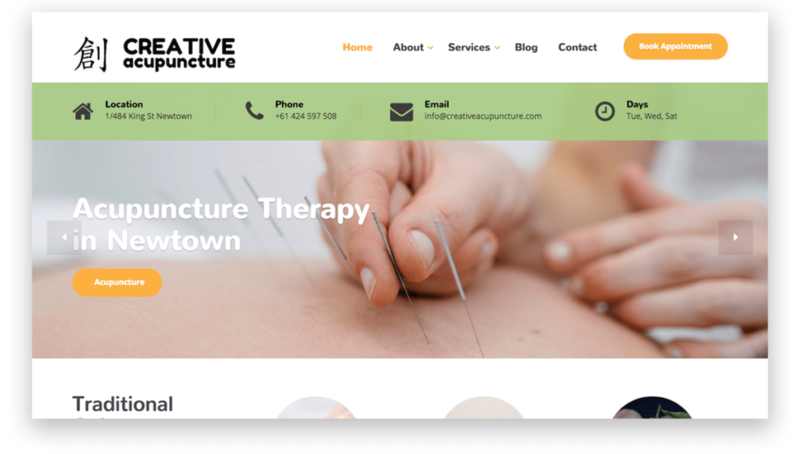 In need of a professional looking site to attract new patients? 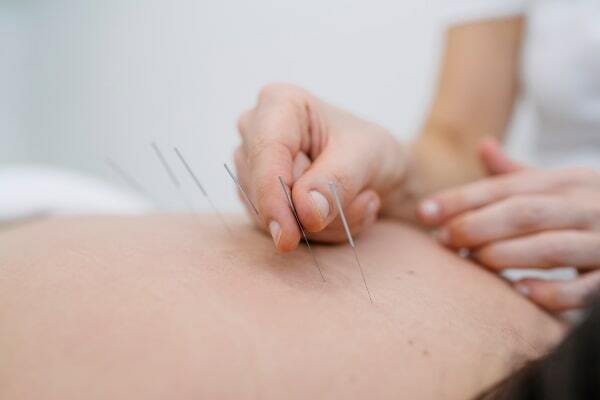 Wanting to promote the benefits of acupuncture to your community? If you answered yes to some of these questions, we can help. We’ll save you time and money so you can focus on your patients. 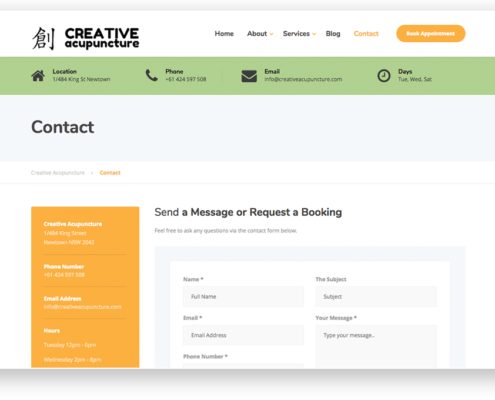 Let us design your website. Our websites are fully customisable – have a look at our feature portfolio. 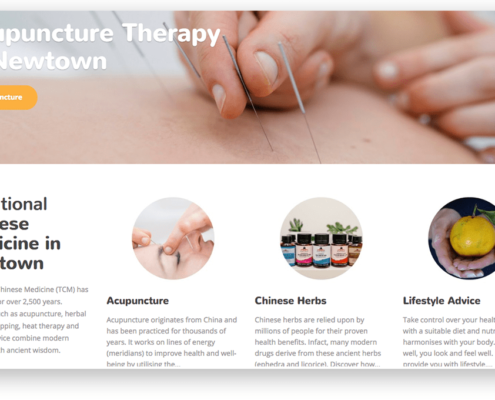 We design for Traditional Chinese Medicines (TCM) clinics, massage, naturopathy, aromatherapy, homeopathy, Ayurvedic medicines, reiki and osteopathy practitioners. Choose from our three options. Extra add-ons, site redesigns and custom design packages are also available if that’s what you prefer. Just ask! 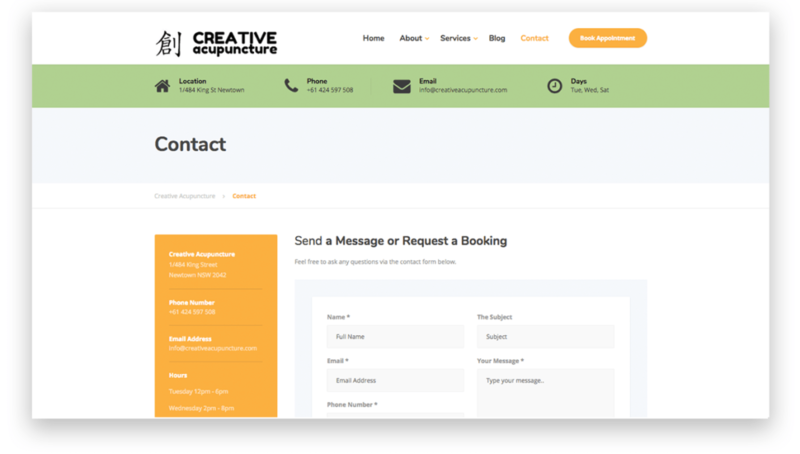 Great for larger sites, existing site redesigns or custom projects – just ask us! Hosting fees are payable to our preferred hosting partner from approximately $160 per year. Customer Satisfaction Guarantee: We are happy to negotiate on your inclusions – just ask us if you’re not sure. We will make your project work! After you pay remaining balance of project we will take your new site live. 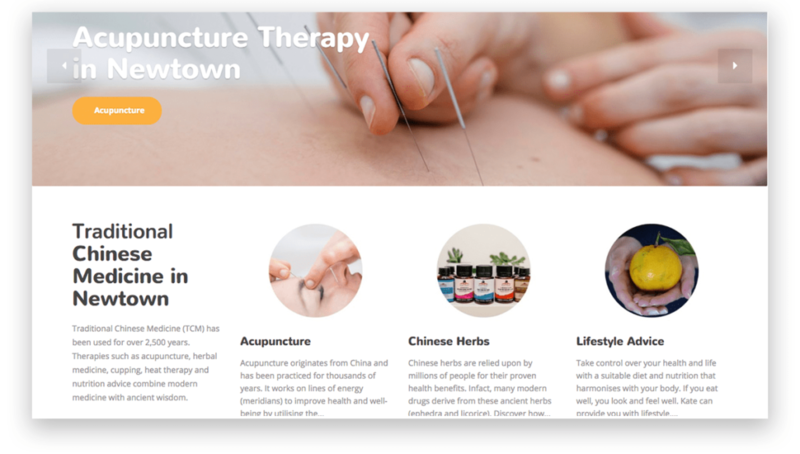 With an ever-increasing demand for your services (and with more acupuncture clinics opening all the time) how well placed are you to meet the needs of your local community? How visible is your web presence and how do you compare with your competitors online? The following industry statistics highlight the competitive nature of acupuncture in Australia today as more and more practitioners register. According to the IBIS World Research Report October 2018 your health profession (referred to as the alternative health therapies) has increased its revenue over the past five years, boosted by growing acceptance of acupuncture and related modalities (including naturopathy, aromatherapy, homeopathy, traditional Chinese and Ayurvedic medicines, massage, reiki and osteopathy). Gone are the days when any old website would do. 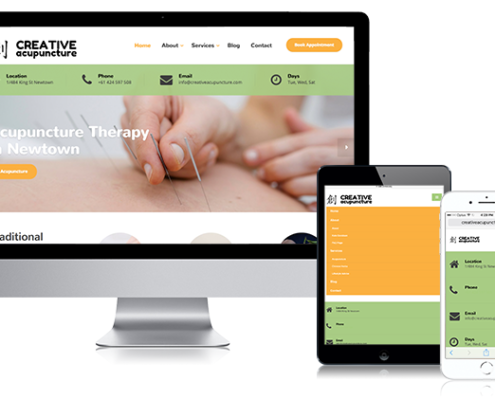 You need a website that will help deliver your clinic goals and a company that specialises in chiropractic website design. If your site does not show up in online searches, you are effectively invisible online. We don’t want this for you. A conversion optimised website design and an investment in a SEO campaign will increase your chances of success. Why does SEO matter? These statistics build the case. 77% of search engine queries are performed using Google – where do you rank on Google? Over 50% of web searches come from mobile devices, not desktop computers. Is your site mobile responsive? Position 1 and 2 get approximately 50% of all clicks (enquiries), levelling off with position 10 getting only 2% of clicks. You need to rank as high as possible on Google page 1. We can help you with this.